North American Machine Works is a VR ASME certified safety valve repair center. In addition to Farris, we are certified to repair all makes and models of any safety valve manufacturer; whether they are ASME Sec. I or Sec. VIII certified. The testing facilities at our machine shop include a steam test stand for pressures up to 1400 psig, two air test stands rated up to 3500 psig and liquid testing capabilities of up to 10,000 psig. All of our test stands are equipped with highly accurate pressure transducers which graphically capture each test. 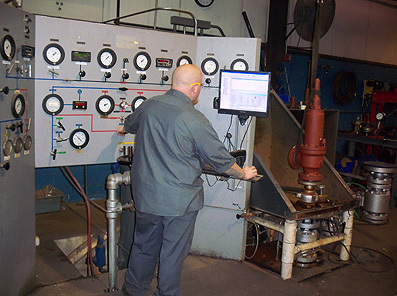 Our valve shop operations are managed by an innovative web based system, Swan Asset Manager. Asset Manager offers our customers a window into our operations from their own offices. Real time status of each safety valve and its repair is available to the customer online. Customers no longer need to make a phone call for an update. Now all they have to do is logon into SWAN Asset Manager through the web and every aspect of their job is available on line – whether it is a current repair status, repair history, or the most recent test certification. In addition to our shop capabilities, North American Machine Works has extensive field repair capabilities. NAMW carries a field VR. We have two portable test stands as well as an in-line testing device, AVK. Our field mechanics are experienced in testing high pressure welded steam valves in power plants as well as multiple valve shutdowns in process plants. NAMW has extensive capabilities for the reconditioning of gate, globe, check, double block and bleed, and non-return valves. 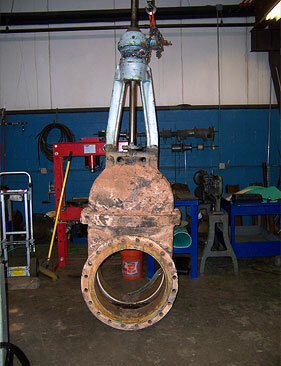 All repaired valves are leak and hydro tested per API standards prior to shipment. 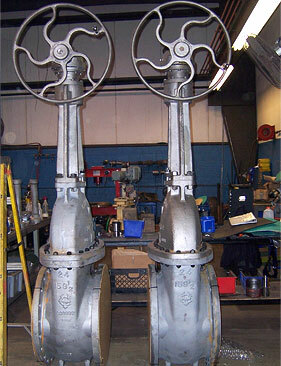 Several customers have contracted with us for routine on site valve maintenance so their valves always work when needed.